So, I’ve only got a few more days left in Toronto, having spent most of the summer here. During that time, I saw some bands that I really like that I never thought I’d have ever get a chance to see (Godstopper, Hammerhands). Sadly, I didn’t catch Column of Heaven as they didn’t play any shows while I’ve been here. 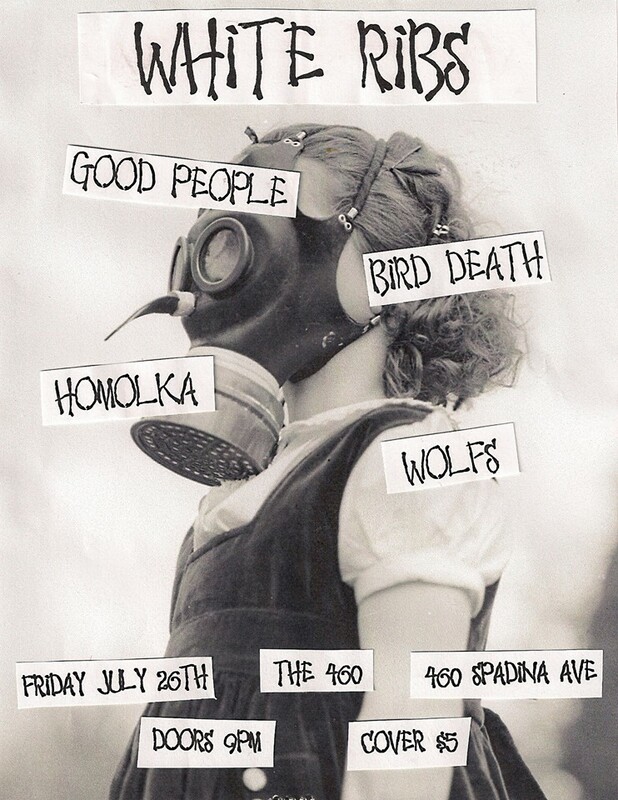 At the same time, I made some great discoveries in Toronto’s scene, namely grinders Homolka. The band played with Rotten Sound back in May and ripped through a short but caustic set of ugly grind that recalls the dirty and crusty riffs of very early Nasum along with a dosage of Retaliation influence, so needless to say the mix works wonders. Their split tape with the UK’s Human Cull was released last year and their side is a mere six minutes of bludgeoning that’s well worth investing in and in fact you can stream the tracks below. Luckily for me, the band is playing a show this Friday so I’ll have the chance to catch them once more before I leave (Facebook event page). There are a bunch of other bands playing that I’m not familiar with but if it’s anything like the others shows I’ve been to in Toronto this summer, then I’ll be making some more cool discoveries.